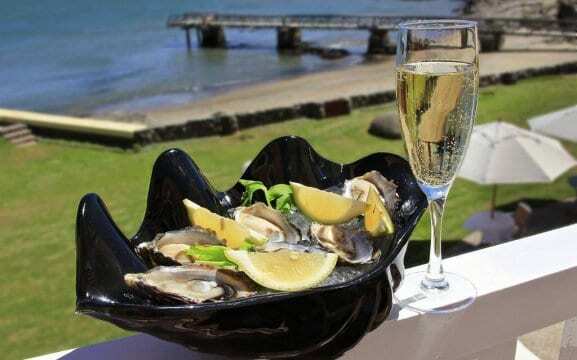 The Lüderitz Nest Hotel enjoys a superb on the rocks and sea location, with far reaching uninterrupted views. 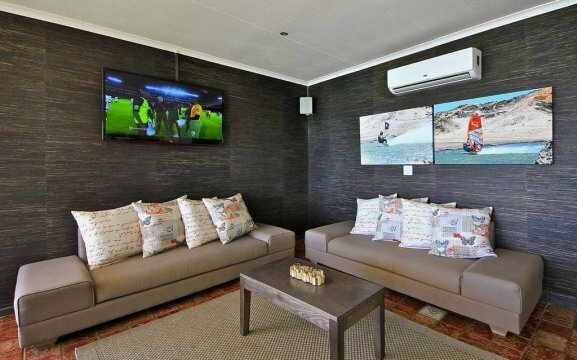 The hotel’s private tidal beach with walk-on jetty, unique in Namibia, allows the guest to get close-up to the sea. 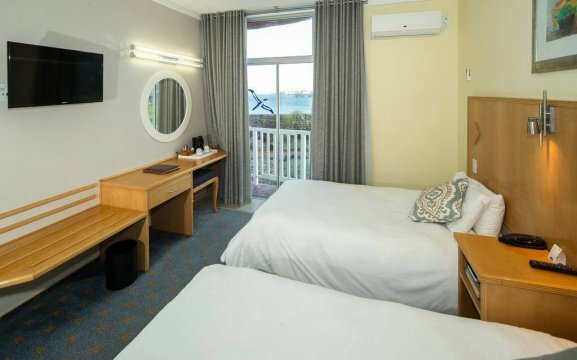 All rooms and suites have direct sea views. The outdoor sparkling residents’ pool with sun-loungers and parasols is surrounded by verdant gardens. 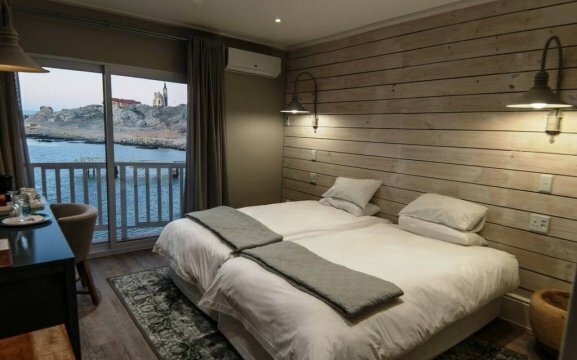 The sea-facing sauna extends relaxation opportunities. 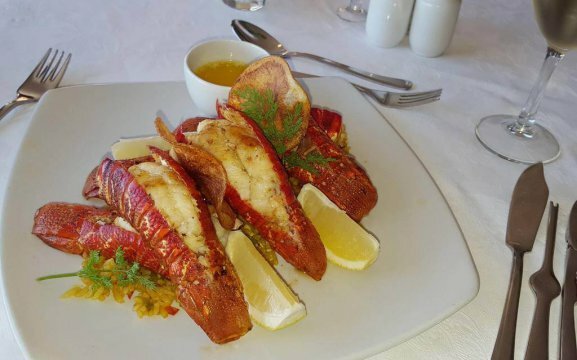 The two on-site restaurants serve international and South African cuisine, as well as delicious Lüderitz oyster and west coast rock lobster. 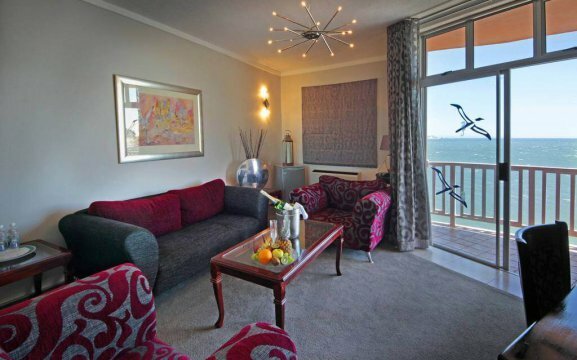 Facilities include FREE Wi-Fi throughout, complementary full-buffet breakfasts as well as free secure parking. 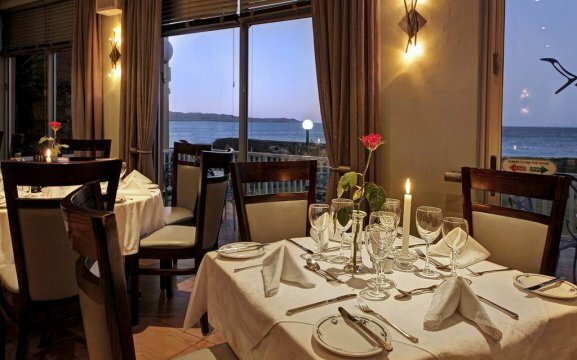 The hotel delivers a friendly service in a relaxed environment. 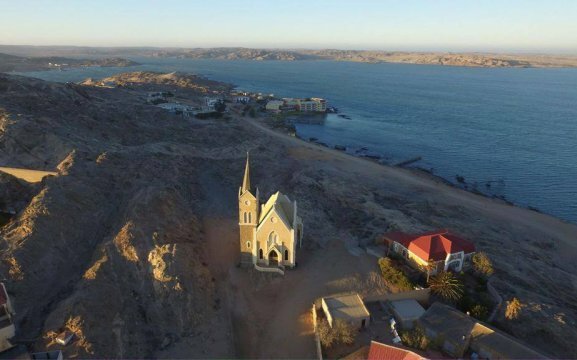 The hotel is your perfect desert oasis from which to access the iconic Felsenkirche, Goerke Haus, Lüderitz Waterfront, Diaz Point and Kolmanskop Ghost Town. 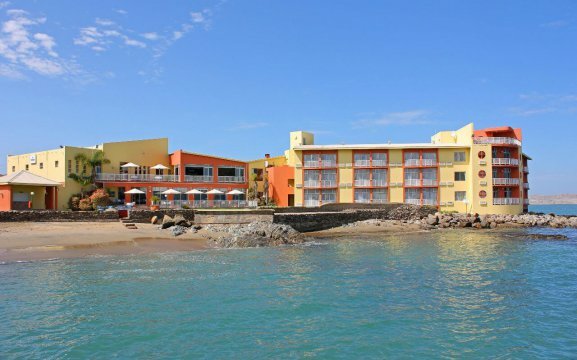 Since 1998, management and staff have hosted guests from around the world and very much look forward to welcoming you. 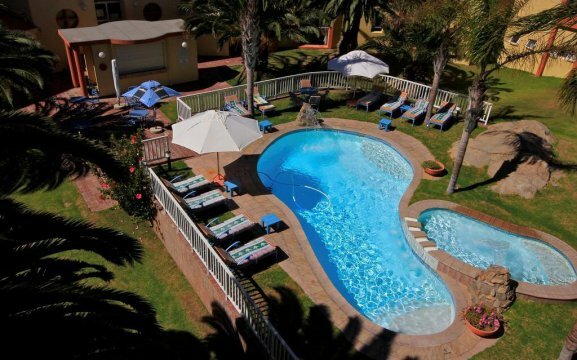 The Lüderitz Nest Hotel supports various local community projects and has an ongoing staff training programme in place. The hotel provides further community support by employing the services of local BEE enterprises. 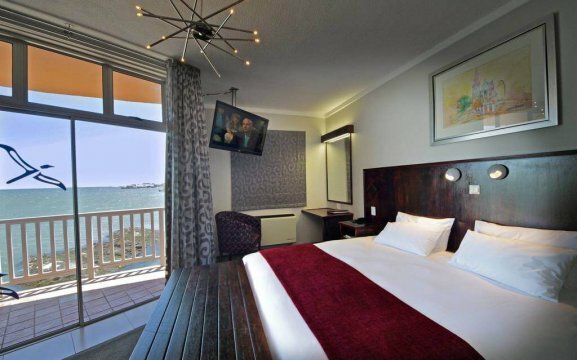 The Lüderitz Nest Hotel is recipient of various Hospitality Association of Namibia (HAN) Excellence Awards.